I have never envisioned myself to become a blogger when I was young. Thanks to my penchant in writing, my extinct personal Friendster blog have evolved into a family, lifestyle and purpose driven blog through sweetmemoirs.com. Never in my wildest dreams did I think anyone apart from my family and closest friends would be interested in reading my blog but I am beyond grateful to have gained a pool of loyal followers from all walks of life. Eventually becoming an influential blogger is synonymous to slowly breaking my own shell that encloses my potentials and hidden talents. I have learned to embrace the liberation of it all. I can now say with so much gratitude in my heart that I love being a blogger. Through my blog earnings, I was able to sponsor a child. It is my way of giving back and sharing my blessings to the less fortunate. It has always been my dream to have an scholar. I am doing my best to monetize my blog so that I could continue to reach out to the needy and help more children. Through my blog posts, I unknowingly touched other people's lives too. One of my readers stumbled upon the poem I wrote entitled "A Sister's Love" and left a note in my contact form to say how grateful she is to have stumbled my blog. Her exact words that I will never forget were, "Thank you for reminding me that my existence is valued, that I am loved. Thank you for making me love and cherish myself more." 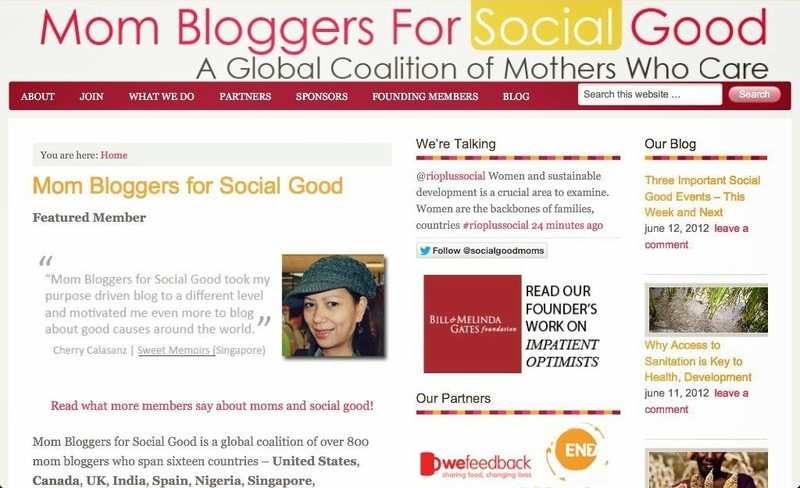 Becoming a founding member of Mom Bloggers for Social Good has taken my purpose-driven blog to a whole new level. Apart from having an scholar, I also support my chosen charitable institutions like World Food Program and Red Cross and I reach out to those in need during difficult times. The reward if I must say, is priceless. 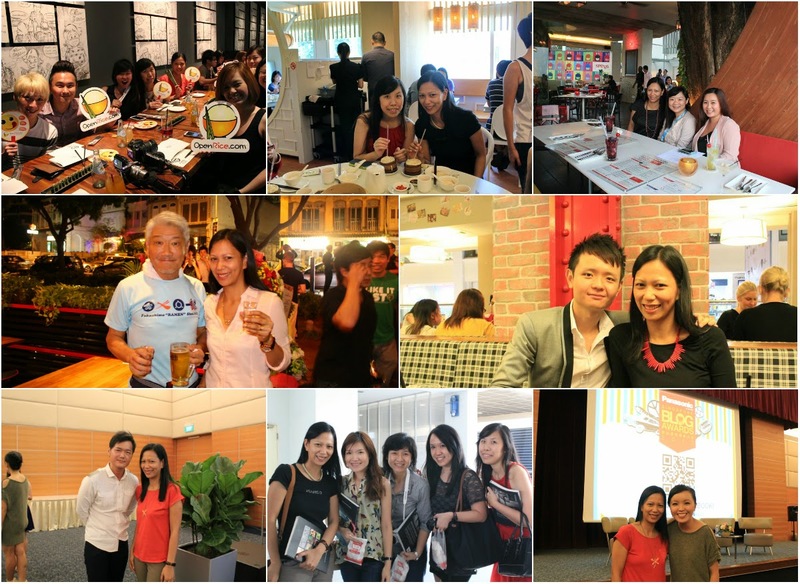 Freebies and food tastings aside, what I value most about the perks of being a blogger is being able to meet many interesting people. To date, I was deeply inspired by the very humble founder of Ippudo, Ramen King - Mr Kahawara, the equally grounded Lady Iron Chef himself, and other Singapore's influential bloggers like Daniel Ang, Grace Tan, Alvin Lim, William Tan, Hong Peng and many more. I have also made friends with other passionate bloggers like Hazel of Rhythm of Life and Cherie of The Fatty Rie. I have also established great working relationship with friendly PR and marketing people like Fulvia of Mount Faber Leisure Group, Chelsea of SPRG, Janet and Rui Long of Omy SG, Vivien of Ippudo SG, Joyce of Zalora Singapore and more. One of the many blogging perks is being invited to cover important events in Singapore. 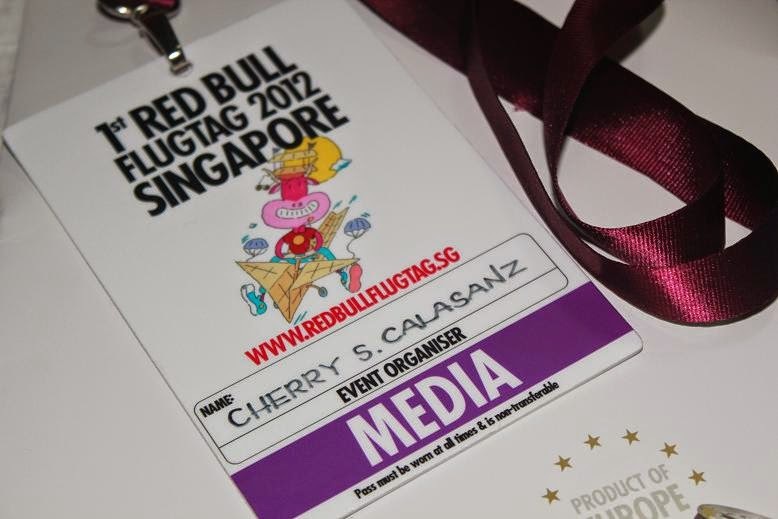 I am blessed to have been invited to cover the 1st Red Bull Flugtag in Singapore, I have witnessed the successful re-branding and re-launching of Ippudo Tao into Ippudo SG, I have been invited to Safra Open House, Kids Fun Day at The Grandstand, and many other events that I so enjoyed covering and blogging about. 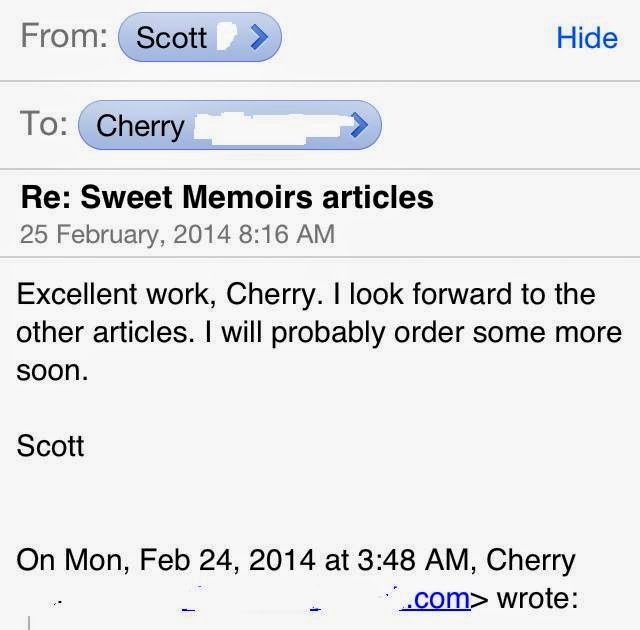 An advertiser was very pleased with the articles I have written for his clients recently and gave me more writing work. My good friends who have always been there throughout my life as a blogger also commended me for coming up with more articles worth reading and sharing. Having said that, I am actually very keen to hone my skills further and enroll in a creative writing class. I hope I will be able to find time to do that soon. On top of everything, what I love most about being a blogger is being able to express myself, spill my thoughts and voice out my opinions. And I love that blogger named Cherry in SG: ) keep writing and inspiring many of us across the globe! Life is fascinating, we don't know exactly what we will achieve or get when we don't risk or try something. like you i've never thought to be a blogger as well, it was my BFF who decides to create a blog to update ourselves since some were migrated into different countries. little did i know that i will evolve and have the confident to publish my writings. though i ain't very good in grammars i still try my best to ensure that my readers understands my perspective. Kudos to you sis. Same way here, I only discovered blogging back in 2008, wish I could have known it earlier thought. Just like you, most of my earnings was spent through my youngest sister's college din. That's a very nice thing to write and say about blogging and they are all true. But I should commend you for your noble causes and worthy activities in sponsoring a kid to a good education and making your clients proud for your dedication. Kudos to you and yes, keep blogging! medyo marami-rami pa akong kakaining bigas to be called professional blogger if there is such a thing. hehe. I just do personal blogging. In short diary of my life lang talaga yung blogging ko. Goodluck in your blogging career! So glad and happy for you Che, to be enjoying the fruits of this well meaning hobby.